Spectacular Views of lakes and mountains. Luxury Living at its Best. New Property. 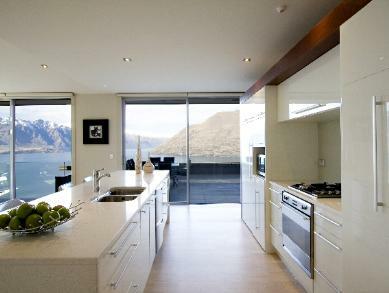 Three bedroom Brand New House nestled in the mountains with panoramic views over looking Lake Wakatipu, Queenstown and the Mountains. 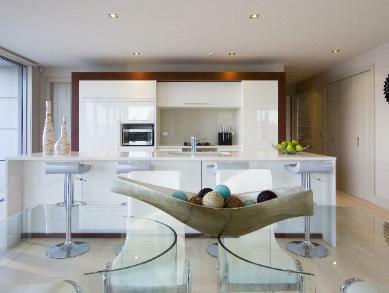 Beautifully furnished with fully equipped kitchen. 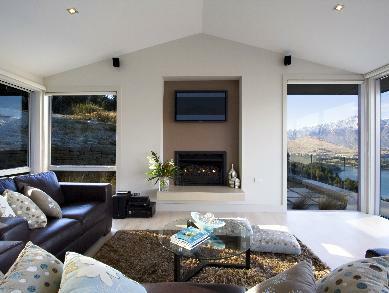 Only 3 minutes drive to central Queenstown and 25 minutes to Coronet Peak Ski Resort. 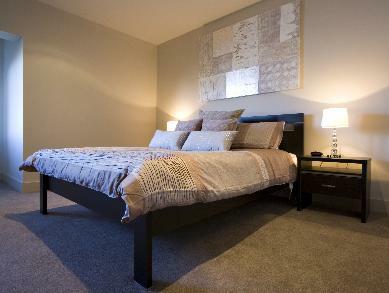 The standard price is NZD$ 350.00 per night. The View - 4.8 out of 5 based on 70 ratings. 31 guest reviews. The View - Reviewed by Dell from Australia in October 2017. The View - Reviewed by Sheena from United Kingdom in April 2017. The View - Reviewed by James from Australia in April 2017. We loved our stay at the view. The property has amazing views which make it. The house its self is excellent and nicely presented. Would recommend to anyone looking for a lovely home with incrediable views. Only issue was the TV keep dropping out. Very frustrating when watching a game of footy. The View - Reviewed by Kathleen from Australia in September 2016. The View - Reviewed by Jane from New Zealand in October 2016. We had a lovely stay in this beautiful home. The views from the property are truly amazing. Would recommend the home to people wanting space, quality, views and peace and quiet. The only one tiny gripe we had was that there were two coffee pots and no tea pot. It might sound petty but we are all big tea drinkers so a tea pot would have been lovely. HI Thank you for your feedback. We are off to buy a teapot today. The View - Reviewed by Andrew from New Zealand in January 2017. The View - Reviewed by phillip from New Zealand in August 2016. The cherry on the top would've been an outdoor spa, but apart from that it was amazing, I wouldvery highly recommend it. The View - Reviewed by Rosalind from Australia in February 2017. Cot provided was somewhat difficult to erect, and with help from property manager, we finally had success. Door key box also a lityle cumbersome to access. Kitchen utensils were great. Outside garden probably needed a little attention, and privacy from main bathroom window was awkward when houses below were occupied. However, all minor issues and we loved the house and enjoyed our stay. Thank you very much! The View - Reviewed by Amy from Australia in January 2016. Spectacular views - we travel a lot and this was definitely worth it. You will need to rent a car to stay here but it's also super close to town and built up on a high road so really great views from virtually every room. 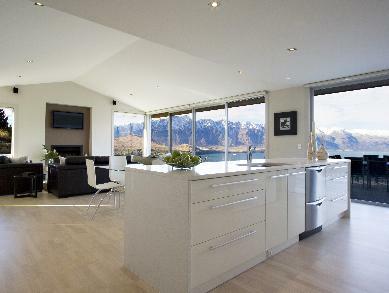 Only minor issue was the skytv was a bit erratic but got fixed really quickly thanks to a great responsive property manager - only shame was the weather which meant we couldn't use the amazing outdoor balcony with 180 degree views of lake wakatipu. We would definitely stay here again if travelling with another couple - perfect for a small family! The View - Reviewed by Julie from Australia in October 2015. THE VIEW: Honestly, this is one of the very few places where the Internet photos do not do the property justice. It's a MUST see VIEW. Absolutely, SPECTACULAR - way better in REAL than any photo you see!!! 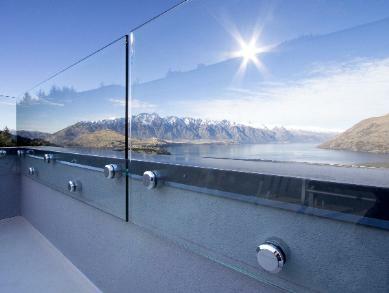 Just one very small issue, we were in Queenstown for a wedding and would have appreciated a "full length" mirror....!!! The View - Reviewed by Donna from Australia in August 2015. The View - Reviewed by Barbara in April 2014. The View - Reviewed by David from Australia in November 2013. Fabulous property with breathtaking views. Well designed property with a great open feeling and plenty of space. Location was perfect, just a few minutes drive to Queenstown and very peaceful. We had a great time staying at the View and will be recommending it to all of our friends. The View - Reviewed by Kathy from Australia in August 2013. Thank you for some wonderful memories in a beautiful setting. We were so impressed with "The View" that we would like to book again for next year if the price is comparable. We will look into this in the ensuing months. Thank you. The View - Reviewed by jason from Australia in January 2013. We had a wonderful stay and loved "The View" - It was a quiet location and very comfortable and the view really was very special. 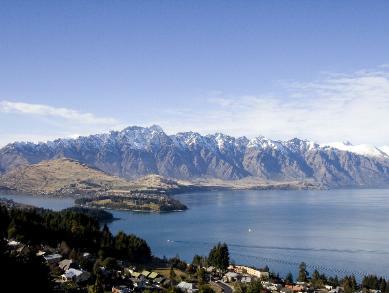 We hope to return to Queenstown soon! The View - Reviewed by Julie from New Zealand in August 2013. The View - Reviewed by Vrundan from Australia in November 2012. The View is just amazing and more than what the pictures can speak. 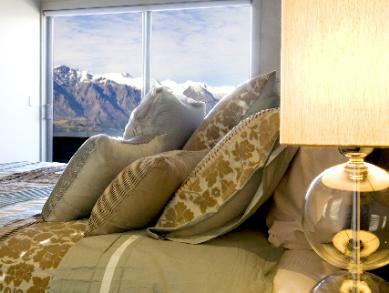 Spectacular views, plush interiors and remarkable service from Paul makes it one of the best experiences in Queenstown. Just sitting in the living room, gazing at the lake and beautiful mountains is peaceful and rejuvenating. 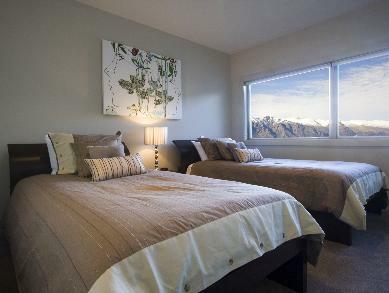 All bedrooms are amazing and have a view of the lake and obviously the Master bed is the best. My first experience in Queenstown couldn't have been so good without The View. We've stayed in other appartments but by far The View is peaceful, beautiful and 10 on 10 !! Hope to visit again. The View - Reviewed by Robbie from Australia in October 2012. 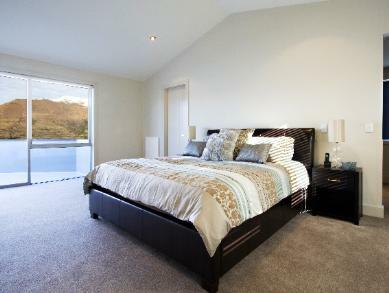 A great property and added to a very enjoyable experience for us. 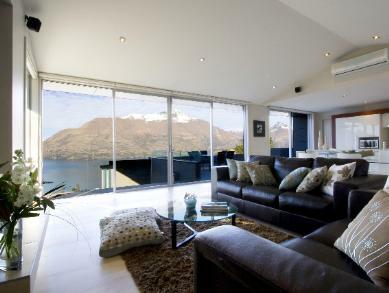 It was very easy dealing with the owner in advance with any questions and with the manager in Queenstown. The house is well designed, fitted, clean, has awesome views and is everything it promises to be on thew web site and more. The View - Reviewed by Thao from Australia in June 2012. Absolutely loved The View! The pictures shown on the website was gorgeous however in reality it was breathtaking! My husband was sick during the trip with a cold and it was great to have the third twin room for him to sleep so that he would pass the germs on to us. Every room had a view so I didn't feel bad that he was downstairs. 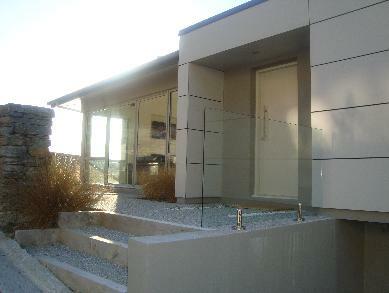 This property is beautifully thought through in regards to all the layout in the house. You don't need the television, the view is enough along with a good book! We will return, next time we hope to use the BBQ on the verandah. What a wonderful home, I wished in was there longer and didn't have activities that I had to go to. Being there was tranquil and relaxing. The View - Reviewed by Mark from Australia in September 2012. The View - Reviewed by David from Australia in July 2012. The View - Reviewed by perri from Australia in February 2012. Looking forward to staying longer next year in february! The View - Reviewed by Ben from Australia in April 2012. Property exactly as described on the website, photos were spot on. 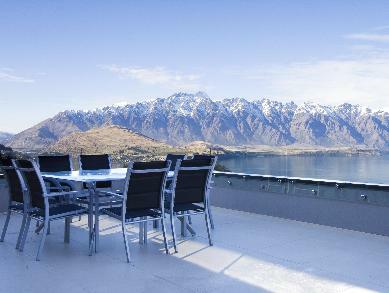 Excellent panoramic views of Queenstown, beautiful home. Pleasure to stay and will be back. The View - Reviewed by Judy from Australia in February 2011. 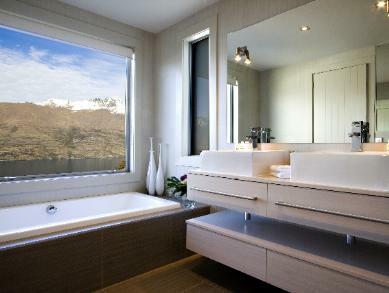 The View is an apt name for this gorgeous property! We loved our stay and could hardly drag ourselves away to go sightseeing. This place is well worth a visit. The View - Reviewed by JANE from Australia in October 2011. The View - Reviewed by Angela from Australia in September 2010. Thank you. This home was absolutely beautiful. Paul the property manager was also excellent. We will be back. The views are magnificent. It was hard going out as we were so happy in the house. The View - Reviewed by Kane from Australia in October 2011. Great place! Three thumbs up! The View - Reviewed by Emma from New Zealand in May 2010. The View - Reviewed by Julie from Australia in June 2010. Beautiful home, the views where breathtaking. The Manager was very friendly and assisted where needed. Home 4 Hire is a great way to find the right holiday home. We will definitly be using you again. The View - Reviewed by Marcus from Australia in May 2010. The View - Reviewed by Marlene from Australia in October 2009. This is one os the best houses I have ever rented and we hope to return next year. The location and view were spectacular. The house and our stay was amazing. Will highly recommend to friends! From central Queenstown the house is a three minute drive. There is a restaurant and convience store just around the corner. 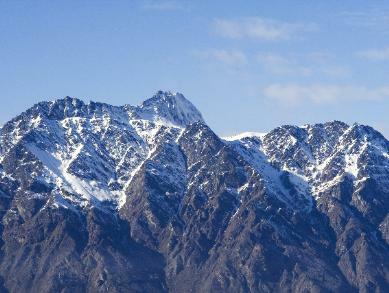 Queenstown its self is a adventure playground with the ski fields only 25 mintues drive. There is also jet boating, mountain biking, water skiing, budgy jumping and endless winieries.